If you enjoyed the front cover image of Shakespeare Tower in our March issue of Barbican Life, then I’d just like to remind you that it was shot on a cellphone as part of the O2 Sessions photography masterclass (online and free) which teaches aspiring photographers the ins and outs of smartphone photography. I met up with Neil Andrews who, inspired by our Barbican Estate, tutored the session which focused on Angles & Perspective. 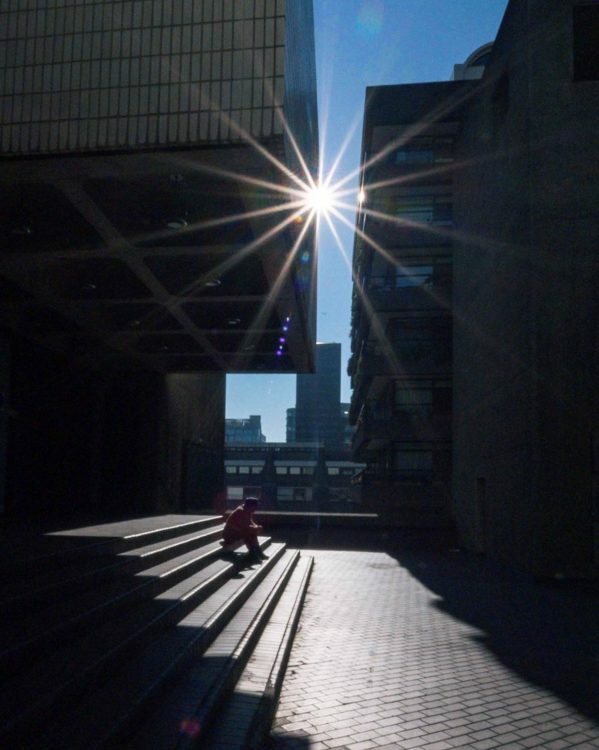 Neil is one of the new and fascinating professional Instagrammers we all hear about these days and we’re lucky because his love of the Barbican Estate means we have an endless portfolio of brilliant photos to swipe through on his feed. Neil loves our home and sees magic in every corner (we spend 5 minutes just chatting about the arch shapes in the Barbican). He’s one of those people with the God-given gift of seeing with an artistic eye so I’m very jealous. His involvement in the 02 project came about because he has 106,000 followers on Instagram and is therefore labelled as an Influencer. 02 asked him where he’d like to do the project and he obviously thought of us. “There is always somewhere to take a good shot in the Barbican”, he explains. He’s been lucky enough to get quite a few jobs because of his photography and his followers. One where KLM flew him down to Johannesburg, and another in the Baltic with Viking Cruises. He takes the shots and posts about his trips and experiences. What an awesome job! 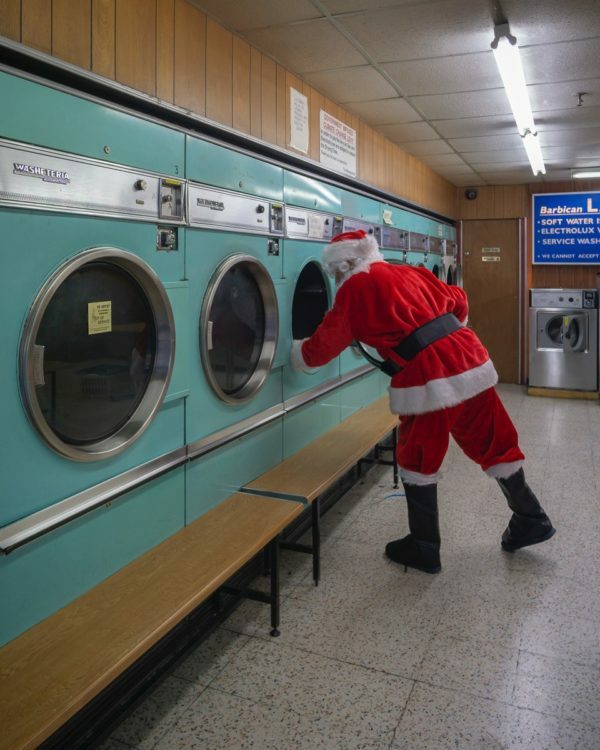 One of his 5 Instagram feeds is called @santaclauslondon where he dresses up in a Santa outfit in unusual London settings. You simply have to scroll through this feed of photos; they are adorable and quirky and I defy you not to smile. Neil’s main account is @mumhad1ofthose which was originally a site he used to sell vintage furniture, but then during the Olympics he had a yen to share imagery from London, developed an avid following, and the account became more and more about photography and less about Victorian sideboards. The name @mumhad1ofthose is a great handle; so easy to remember. “Instagram is a strange beast”, Neil admits. Having so many followers, he meets people from all over the world. Chris from Poland was a recent visitor to London and while Neil was showing him around the Estate, they met Elvis, another Instagrammer from Aberdeen who was also here for the day. Elvis turned out to be quite a gymnast and Neil took a shot of him cartwheeling over the bridge under Bryer Court. Neil enjoys showing fellow Instagrammers the local ropes because he knows London so well and, as he travels, he experiences the same hospitality and inside knowledge from his compatriots in their home cities. 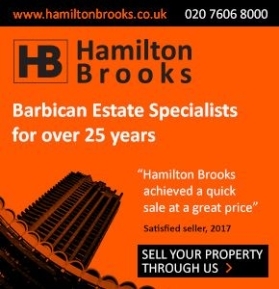 The Barbican is a “great place to mingle” and most of his guests are just “blown away” by our Estate. As part of the 02 Sessions project, Neil also became a presenter for the day as part of a video reel which 02 edit to accompany the tutorial blog. 02 have put a lot of effort into this. Their aim is for people to achieve more with their devices or, as Neil puts it, “unleash the true power” of our smartphones. 02 select a different photographer every month and each of the Sessions is a monthly jargon-free masterclass which everyone can access and learn from online, whatever their ability. You can link through to the 02 Session here. Back to Neil’s hectic hosting schedule. Recently, two Danish Instagrammers flew in early to London (just for the day!) wanting to photograph concrete things. First, he took them to the Tate and then walked them along to the National Theatre. From there, they visited the car park in Welbeck Street behind Debenhams (which is about to be demolished) and then, of course, to the Barbican. Typically, Neil likes to get shots which aren’t too busy: a “shot with one person just for scale” is perfect, he explains, so to end… here is Neil, our one person just for scale.